Goodbye August, and Hello September! – WORST. COMIC. PODCAST. EVER! Home › Worst Comic Podcast Ever › Goodbye August, and Hello September! Goodbye August, and Hello September! How in the world can it already be August 31? It feels like this month just started, and now it’s over. I guess time does fly when you’re having fun, which means that the Worst. Comic. Podcast. EVER! must be cruising at warp speed right about now. Released four podcasts, plus three short interviews to wrap up our coverage from the San Diego Comic Con. Hosted six panels at the inaugural Kansas City Comic Con. Created not one, but two new video features with Treat Yo Self and Comic Classroom. Featured at least 16 books with the Four Comics I Want features on Tuesdays. Showcased two of the most talked about books of the summer, Weirdworld and The Beauty, with the 60-Second Reviews. Announced the opening of our Portland office. Interviewed the granddaughter of Jack “The King” Kirby to kick off our Kirby Week 2015 coverage. With this post today, published 27 blog updates in the month of August. So, as we close the door on August, we start looking ahead to September. What’s next? More podcasts! We’ll be recording at least five podcasts this month, but the last one will drop in early October. But it could be way more than five! Subscribe on iTunes to make sure you do not miss out. More interviews! We did a lot of leg work at KCCC to line up future appearances on the show, and now’s the time to start bringing them in. Follow us on Twitter to keep up-to-date with who is stopping by each week. More previews and reviews! We get five Tuesdays in the month of September. That means 20 comics to be previewed on our FCIW feature on Tuesdays. Like us on Facebook to be notified each Tuesday for the books to pick up on Wednesday when you visit your LCS. More appearances! Look for John and Jerry at Elite Comics’ We Are Batman event on September 26. And provided the move goes somewhat according to the plans, Cullen is hoping to make a visit to the Rose City Comic Con in Portland. Can’t be at those shows? Follow us on Instagram to see our views from the cons. If we can peek behind the curtain for a minute, we know that September is going to be a lot different than previous months. Hang in there with us as we make the adjustments while opening our West Coast office. All three of us are committed to making this work, and for it to have as little impact as possible to our many followers. As much time as Cullen, Jerry, and John put into this project, we are not doing this all by ourselves. Our aforementioned wives are the foundation of our lives, and give us the support to do all of these crazy projects and conventions. A big thank you to Lisa, Meg, and Megan for all that you do for us. Along those lines, thank you to our kids. You keep us young at heart, and make us work harder to find the best possible books for all of you to read and enjoy. We have some incredible friends, such as Hillary Lewis, Brent Kincade, Jessica Porter, Jim Lynch, Arie Monroe, and others that pitch in and help us out along the way. Sure, it’s unpaid work; truthfully, it’s unpaid work for all of us. But everything we have done so far could not have been possible without your assistance. Speaking of assistance, we have a pair of wonderful sponsors. 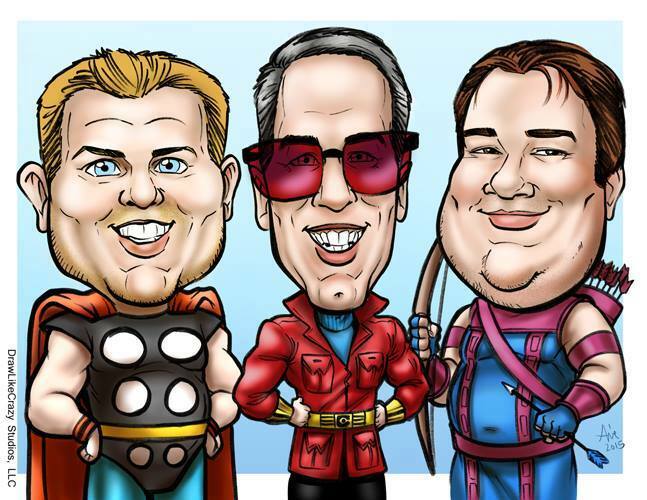 Jim Cavanaugh of Clint’s Comics helps ensure that we keep the lights on each month, and William Binderup of Elite Comics makes sure we have some product to give out at conventions. You both have supported us beyond our expectations, and we are so grateful. If you are still reading this, and God bless you for sticking with it, we know that you must be a fan of what we do. We are glad that you listen, read, watch, and/or share our work. We are thrilled beyond belief to get comments and Likes and voicemails and videos. The feedback is the fuel we need to keep going strong. If you want to help us out sometime, please let us know. 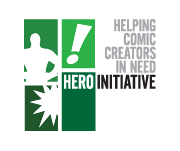 If you want to help out the comic community, consider making a donation to the Hero Initiative. So, from Cullen, John, and Jerry, we give thanks to an incredible month of August, and look forward to the challenges of September. We are the Worst. Comic. Podcast. EVER!, and we hope you enjoy the show. I’ve Got Issues! — Jonah Hex Ain’t Known for his Sock Washin’ | WORST. COMIC. PODCAST. EVER!